The Hawaiian Homes Commission today gave final approval to a general lease agreement allowing Hawaii DeBartolo LLC to develop 67 acres to for the Ka Makana Ali‘i Center in East Kapolei. Under the agreed upon terms, Hawaii DeBartolo will pay more than $140 million in rent, over the course of 65 years, to DHHL for use of the land. Ka Makana Ali‘i Center will be a 1.5 million-square-foot, mixed-use regional center located between Kapolei Parkway and Roosevelt Avenue, and will be surrounded by the new University of Hawaii – West Oahu campus; Kapolei Middle and High schools; and housing developments planned by the DHHL. The area will also be served by the city’s rail transit system. “Moving this general lease forward will mean another source of funding to finance homesteading opportunities for our native Hawaiian beneficiaries well into the future, “ Hawaiian Homes Commission Chairman Albert “Alapaki” Nahale-a said. “We also see this project as an important and much-needed economic boost for the region and the state during a time when many continue to suffer economic hardships. Ka Makana Ali‘i Center will encompass a major department store; family entertainment complex; retail stores; restaurants; two hotels catering to kama‘āina; low-rise office buildings; a pedestrian plaza surrounded by outdoor cafes; underground parking; and a neighborhood commercial area with specialty market, drug stores, convenient shops and services designed to meet daily shopping needs of the community. “As a long time resident of West Oahu, it’s exciting when a project comes to our community that improves our quality of life. Ka Makana Ali‘i is such a project offering a complete shopping experience, job opportunities and a place for community to gather,” said Maeda Timson, Kapolei Neighborhood Board Chair. Construction will be executed in phases over the next four years and will cost a projected total of more than $400 million. An estimated 21,000 construction jobs will be created, as well as over 7,000 new quality direct and indirect jobs in the businesses that move into the center. 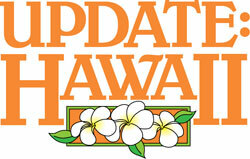 Hawaii DeBartolo has selected Nordic PCL as the general contractor for Phase I.